Stars of Export is an Egyptian exporter that has specialized itself in garlic. The company is now involved in the export of dried garlic, which started in March and will last until the end of June. 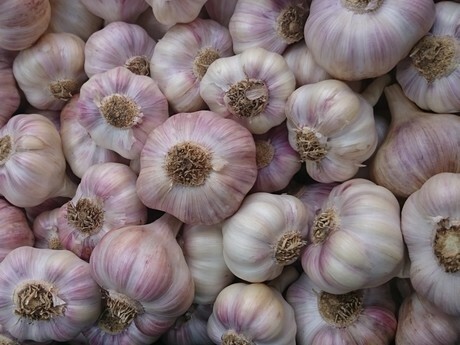 Furthermore, when other competing countries like Spain and Mexico commence with their season, there will be more taxes in importing garlic outside Europe which will result in an uncompetitive price for the Egyptian garlic. In this season, Stars of Export has a volume of about 600 tons of garlic. About 150 tons had to be sourced from other suppliers. However, a large part of this isn’t meant to be sent to the European market due to its high standards with regards to quality. The amount of garlic that is of lesser quality ends up on the domestic market or on second class markets like Russia and Middle-Eastern countries. While Egypt does import some Chinese garlic, the prices of it aren’t that compelling at €3.10 per kilo. Egyptian garlic right now costs somewhere between €2 to €2.40 per kilo. 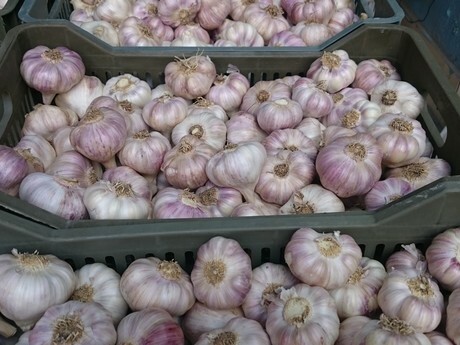 The main challenge with regards to the current high demand is getting hold of garlic that is fit for export. “This week more than 500 tons of garlic was rejected. When we purchase extra garlic from suppliers, we must buy the whole batch that they’re offering us. We’re supposed to take it all. This means that not all of the garlic is good enough for us to send to our customers. Say we buy about 100 tons, then usually 20% to 30% will be good enough for Europe. We deal with this by being critical of the product. We check its quality, color and size. If it’s okay, we buy it. If not, then not. We need to refuse a lot of garlic, because in the end we don’t want to lose good customers due to a bad shipment,” concludes Yassin Ahmed.